It might surprise you that it isn’t always the poshest villages around Doncaster or the swankiest Doncaster streets where properties sell and let the quickest. Quite often, it’s the ones that have the best transport links. I mean, there is a reason why one of the most popular property programmes on television is called Location, Location, Location! As an agent in Doncaster, I am frequently confronted with queries about the Doncaster property market, and most days I am asked, “What is the best part of Doncaster and its villages to live in these days?”, chiefly from new-comers. Now the answer is different for each person – a lot depends on the demographics of their family, their age, schooling requirements and interests etc. Nonetheless, one of the principal necessities for most tenants and buyers is ease of access to transport links, including public transport – of which the railways are very important. Official figures recently released state that, in total, 5,154 people jump on a train each and every day from Doncaster Train station. Of those, 1,241 are season ticket holders. That’s a lot of money being spent when a season ticket, standard class, to London is £976 a year. 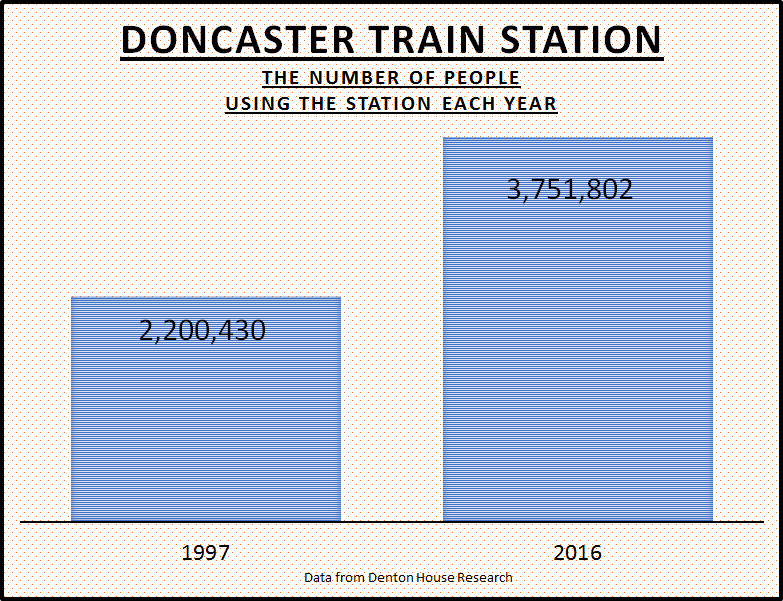 Overall usage of the station at Doncaster has increased over the last 20 years. In 1997, a total of 2,200,430 people went through the barriers or connected with another train at the station in that 12-month period. However, in 2016, that figure had risen to 3,751,802 people using the station (that’s 10,307 people a day). The juxtaposition of the property and the train station has an important effect on the value and saleability of a Doncaster property. 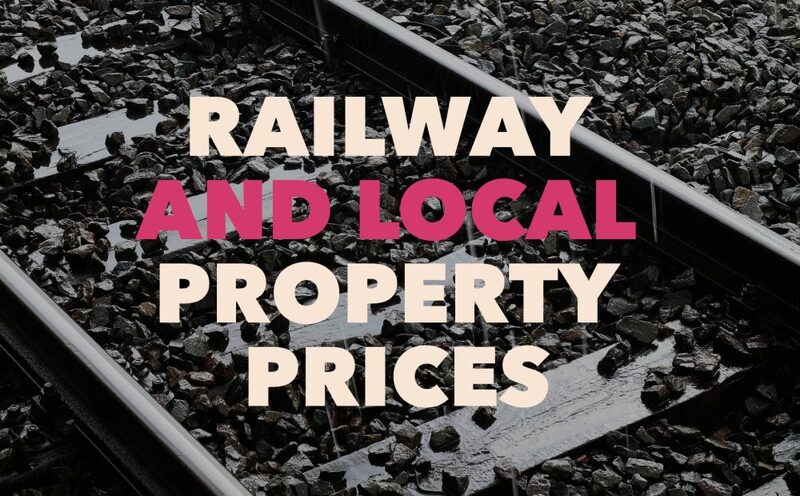 It is also significant for tenants – so if you are a Doncaster buy to let investor looking for a property – the distance to and from the railway station can be extremely significant. Did you know that four in 10 new properties in England and Wales are now sold as leasehold, ranging from one bedroom flats in city centres, to four bedroom detached homes in rural areas? Before you buy a leasehold property, it is important to be aware of what your lease includes and understand any charges you may face when buying a leasehold home. If you own the freehold to your home, it means that you own the building and the land it sits on. If your property is leasehold, you hold the property on behalf of the freeholder and rent the home until your lease expires. Leases are usually long term – often 90+ years, however some developers have sold homes with leases as high as 999 years. Ground rent is an annual charge which the leaseholder must pay to the owner of the freehold. This is often a fixed sum however your lease may contain a clause which allows the landlord to increase the cost payable every five to eight years from the date of build. Your agent, conveyancer or solicitor should be able to advise if there are any rent review clauses in your lease and check what this would mean for you. The costs of the ground rent may be negotiable so make sure to check this with your agent or the developer if you are buying a new build. A service charge is a fee that is payable by all residents which contributes towards the upkeep of the building. This could include cleaning of communal areas, upkeep of outdoor spaces and general maintenance. Generally, the fee payable is fixed however this may change year on year. Make sure you ask your conveyancer or solicitor to explain all charges fully and enquire as to whether the lease administrator has any plans for works which you will be responsible to pay for. Why Would I Be Asked to Pay an Administration Fee? Administration charges are payments for services connected with your buying, selling or use of the property; they can include anything from charges for document applications to exit fees. The costs of any administration fees should be expressed in your lease agreement however your conveyancer or solicitor should be able to review your lease and advise you accordingly. What Should My Agent Be Telling Me? Keep in mind that estate agents are not solicitors, if you are concerned about any aspect of your contract or your lease, speak to an impartial solicitor. What Else Should I Be Aware of When Buying a Leasehold Property? Developers have been known to sell the freeholds of entire developments to third party companies who then charge escalated fees to the homeowner when they come to purchase the freehold. Spiralling fees and onerous clauses have led to some building societies and banks refusing mortgages on leasehold properties – this can make them very difficult to sell. Can I Buy the Freehold? Being able to buy the freehold to your property is not a legal right and the freeholder can choose whether to sell it or not. Before you commit to buying a property, look into who owns the freehold and find out whether it is likely to be sold on and who too. If you are buying a new build, ask the sales office to quote you a price for purchasing the freehold. If you live in an apartment or large complex, there are steps you can take to purchase your freehold, take a look at our helpful guide on buying the freehold to your flat. Some leases have clauses which obstruct your use of the property and some restrictions are not always obvious. Read your lease carefully and if you are unsure of anything, speak to your solicitor immediately. Make sure you have a clear understanding of what you are entering in to, how much you will be expected to pay on an annual basis and if there are due to be any increases. The next five years will see an interesting change in the Doncaster property market. My recent research has concluded that the rent private tenants pay in Doncaster will rise faster than Doncaster property prices over the next five years, creating further issues to Doncaster’s growing multitude of renters. 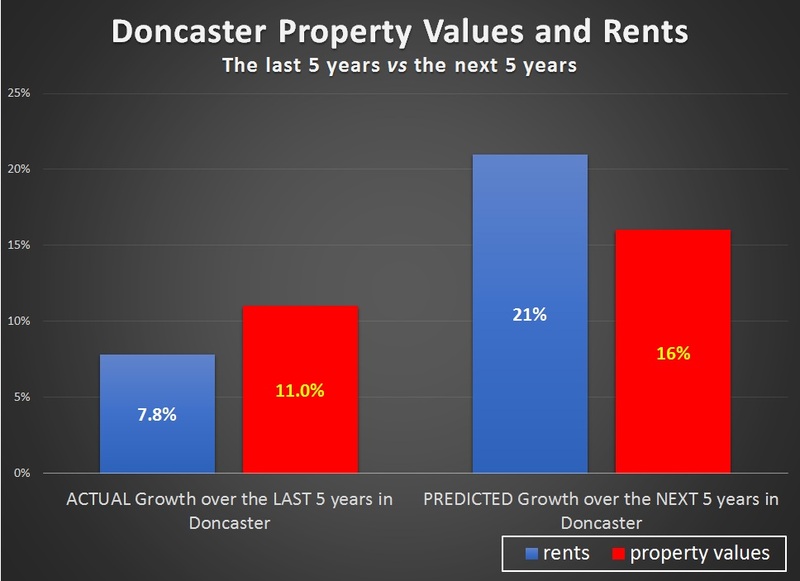 In fact, my examination of statistics forecasts that ..
By 2022, Doncaster rents will increase by 21%, whereas Doncaster property values will only grow by 16%. 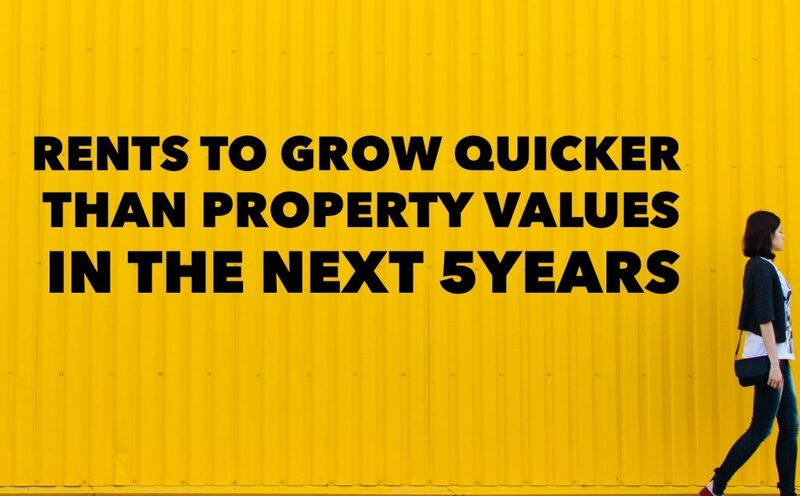 Over the last five years, property values in Doncaster have risen by 11%, whilst rents have only risen by 7.8%. Throughout the last few years, and compounded in 2016, tenant demand for rental properties continued to go up whilst the Press predicted some landlords expect to reduce their portfolios in the next couple of years, meaning Doncaster tenants will have fewer properties to choose from, which will push rents higher. In fact, talking to fellow property professionals in Doncaster, there appears to be privation and shortage of new rental properties coming on to the Doncaster lettings market. With the challenges ahead, with the ‘B’ word (that’s budget if you wondered! ), house price inflation will be tempered over the coming five years in Doncaster. 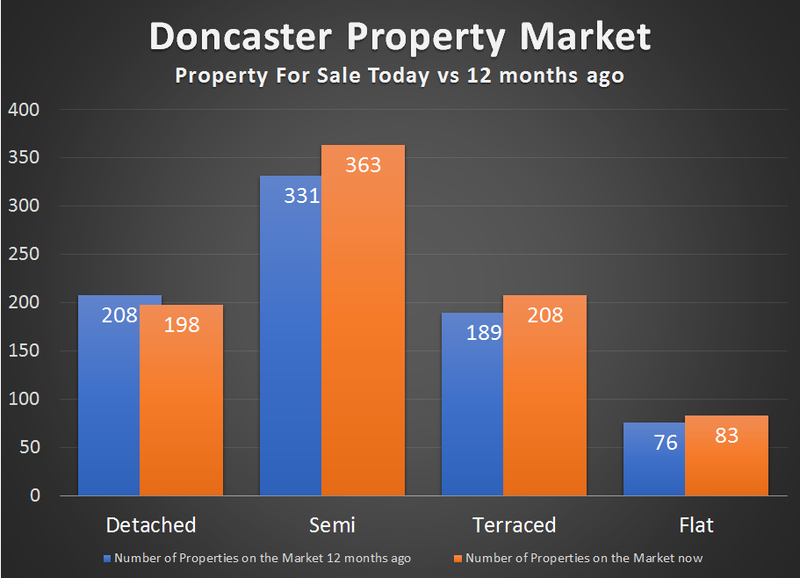 As I have discussed in previous articles, the number of properties on the market in Doncaster remains close to historic lows, which is both good as it keeps houses prices relatively stable, yet not so good as it impedes choice for buyers… and hence why I believe property values in Doncaster will only be 16% higher in five years’ time. These are interesting times. There is still money to be made in buy to let in Doncaster – Doncaster landlords will just need to be smarter and more savvy with their investments. If you are looking for such advice and opinion to help you meet those investment goals, one place you can find more information is the Doncaster Property Blog. 2017 has started with some positive interest in the Doncaster property market. 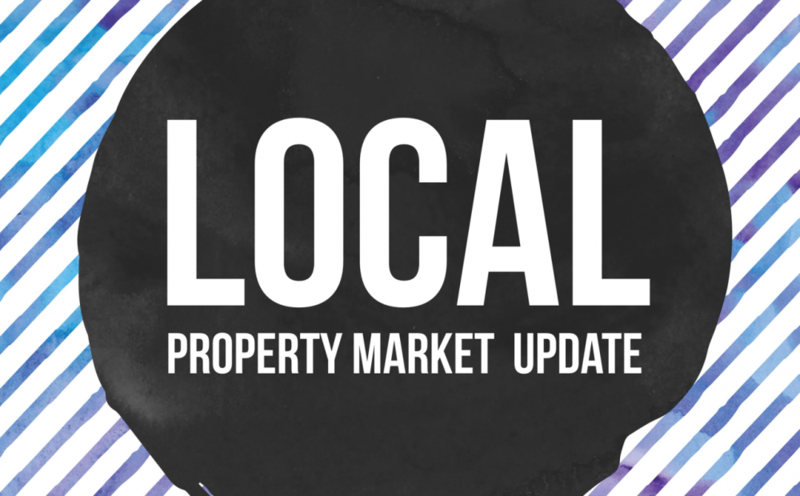 Taking a snap shot of the Doncaster property market for the first quarter of 2017, the picture suggests some interesting trends when it comes to the number of properties available to buy, their asking prices and what prices properties are actually selling for. Next, Doncaster asking prices, compared So when we add in building plots and other types of properties that don’t fit into the four main categories, that means there are 891 properties for sale today compared with 885 a year ago, a rise of 1%. With that in mind, I wanted to look at what property was actually selling for in Doncaster. Taking my information from the Land Registry, the last available six months property transactions for DN4 show an interesting picture (note the Land Registry data is always a few months behind due to the nature of the house buying process and so November 2016 is latest set of data). The price shown is the average price paid and the number in brackets is the number of properties actually sold. Well, with more property on the market than a year ago and asking prices 4% higher, those trying to sell their property need to be mindful that buyers, be they first timers, buy to let landlords or people moving up the Doncaster property ladder, have much more price information about the Doncaster property market at their fingertips than ever before.So what does all this mean for the property owning folk of Doncaster? Those Doncaster people who are looking to sell their property in 2017, need to be aware of the risks of over pricing their property when initially placing it on the market. Over the last 12 months, I have noticed the approach of a few Doncaster estate agents is to suggest an inflated asking price to encourage the homeowner and secure the property to sell on their books. The down side to this is that when offered to the market for the first time, buyers will realise it is overpriced and wont waste their time asking for a brochure. They won’t even view the property, let alone make an offer. So when the price is reduced a few months later, the property has become market stale and continues to be ignored. Whilst the Doncaster property-market has an unassailable demand for property – there is one saying that always rings true – as long as the property is being marketed at the right price it will sell. If you want to know if your Doncaster property is being marketed at the right price, send me a web link and I will give you my honest opinion.